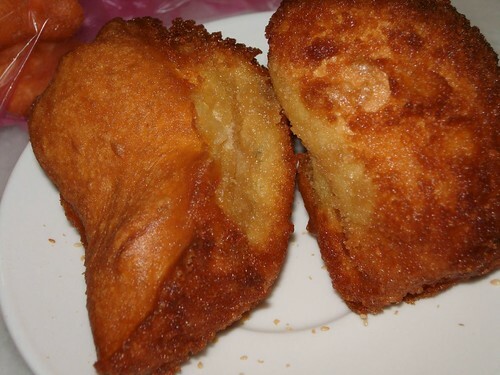 This is Penang’s Hokkien pronunciation of curry puff – Kalipok. 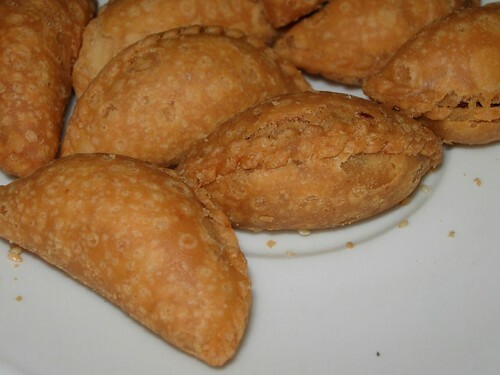 I bought these tiny curry puffs from the Batu Lancang market for 20 cents each. It is really tiny and good for one mouthful only. There are several fillings like dried shrimps sambal (sambai hairbee), bak hoo (meat floss) and peanuts. You can’t miss the stall. It is located in the hawker centre and they sell a varieties of fried stuffs and sweets. Meantime, hua chee is a bit like yau char kwai but it is shorter and covered with some sugary coatings. Not very healthy at all but some stalls do sell very good ones. Crispy and sweet outer cover and soft insides. So oily, can die! But it is one of those things that you indulge because it reminds you of your grandmas. I don’t know why but I notice a lot of old folks love hua chee.